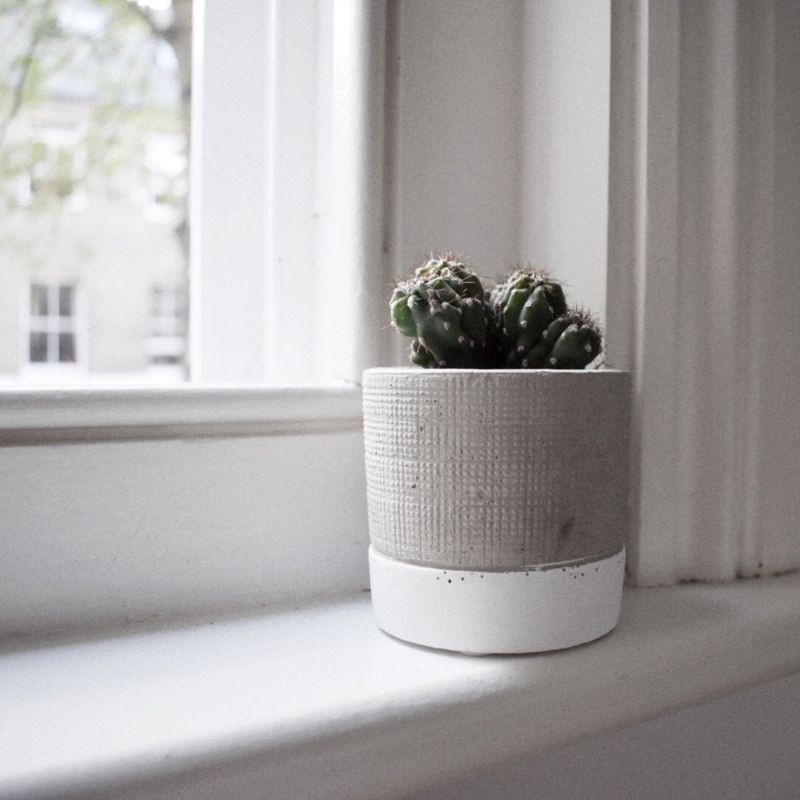 Scandi-Inspired Slow Living Lifestyle Blog - Slow Living LDN. I’d heard of bullet journals. They were the beautifully illustrated (and impossibly neat) spreads of dotted paper filling my Pinterest and Instagram feeds. They appealed to my inner-notebook junkie – if you have a pile of notebooks you’re scared of starting – you’ll know what I mean. Plus, the process seemed like a good ‘slow’, creative activity. 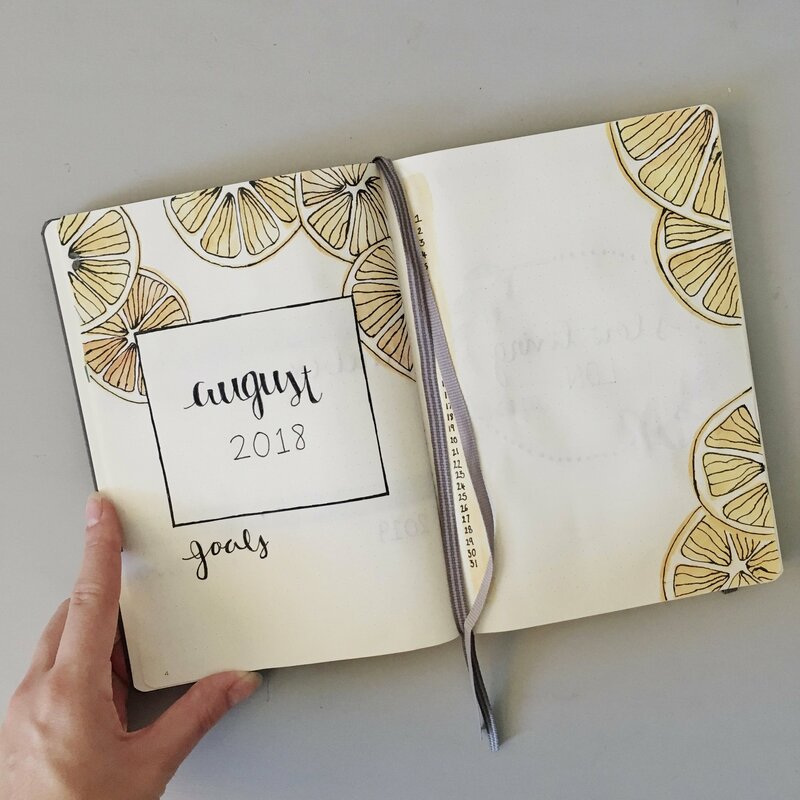 So, at first glance, starting a bullet journal looked little more than filling a blank notebook with a few to-do lists, some doodles and a whole lot of washi tape. Easy, right? Not quite. When I typed ‘how to start a bullet journal’ into Google, I was met with very lengthy guides about logs, spreads, trackers and symbols. Huh? And the images showed journals completely different to what I’d seen on Instagram. There were no doodles! But, there are rules and quite a few, apparently. If you’re still scratching your head about how to start a bullet journal, I’ve created a simplified guide to help you learn what a bujo really is, how to get going and why it makes the perfect slow companion in our digital world. We owe #bujo hysteria to Ryder Carroll, a digital product designer from the Big Apple. He invented the bullet journal system and dubbed it the “analogue system for the digital age.” Is it a journal, a to-do list, or a planner? It’s everything! It’s a bullet-point focused system that helps you reflect, embrace today and set goals for the future. The bullet journal system acknowledges that keeping a traditional journal takes time and quite frankly, many of us would probably struggle with the commitment. Instead, it relies upon a ‘language’ called Rapid Logging. This consists of topics, bullets, page numbers and short sentences (more about this below). In other words, Rapid Logging is a way to record what’s going on in your life as quickly as possible. Though, of course, many people have now turned decorating their bullet journal into a hobby. What’s So Good About Bullet Journals? Plus, it’s not just the act of revisiting thoughts that has its benefits. In a recent post about the glorifcation of busy, I mentioned that one of the biggest losers in our FOMO, tech-dominated culture is our creativity. Studies have found that people have fresh ideas in the shower because they let their minds wander without interruption. In this sense, there’s more to the elaborate bullet journal doodles and designs we see on Instagram. They’re the result of tech-free mindful time that many of us might not enjoy enough of. Once you’ve got your hands on your materials, it’s time to learn how to start a bullet journal. It’s all in the set-up! Firstly, it’s good to know that all bullet journal pages are numbered and referenced in an index. And.. all pages have a topic and this is normally written (like a title) at the top of each page. So far, so good? These are useful for those tasks you just haven’t got around to ticking off your list. This way, you can move them to the next monthly log. An O is used to describe an event. This can be an event coming up in the future, or something you want to record that’s already happened. A dash (-) is used to make notes. These are ideas and thoughts that you can’t immeadiately act upon, unlike tasks. In addition to the symbols above, you can add more context to your bullets by using signifiers. For example, an asterisk (*) is often used to symbolise priortiy, an exclamation point (!) is used to symbolise inspriation and great ideas and an eye symbol represents an idea that needs exploring in more depth. But, really, you can choose your own signifiers and add a key in the index. So, now you know the ‘rules’ of the system, it’s time to get creative. One of the best things about keeping a bullet journal is that you can personalise it. You don’t just need to stick to traditional monthly and daily calendars. You can also include ‘trackers’ that fit with your own goal-setting and lifestyle. If you search Pinterest, you’ll find an endless supply of ideas. For example, a gym/work-out tracker, a mood tracker, a savings tracker, a plant-watering tracker or even an amount-of-water-drunk tracker. Chatting with colleagues recently, we realised how London changes your perception of distance. You type in where you’re going in Citymapper and off you go – even if it’s over an hour away by tube and bus, you’re likely to go the distance as a Londoner. 50 minutes for a drink with a friend? Doable. But before moving to the capital, travelling 50 minutes for a casual drink in the evening would have felt ridiculous. This means that my perceptions of day trips have also changed. Travel for an hour and you can swap city for countryside? I’m all in. In fact, as someone who grew up in a small village, planning slow escapes at the weekend are near essential. Provence’s lavender fields have been on my bucket list for some time. 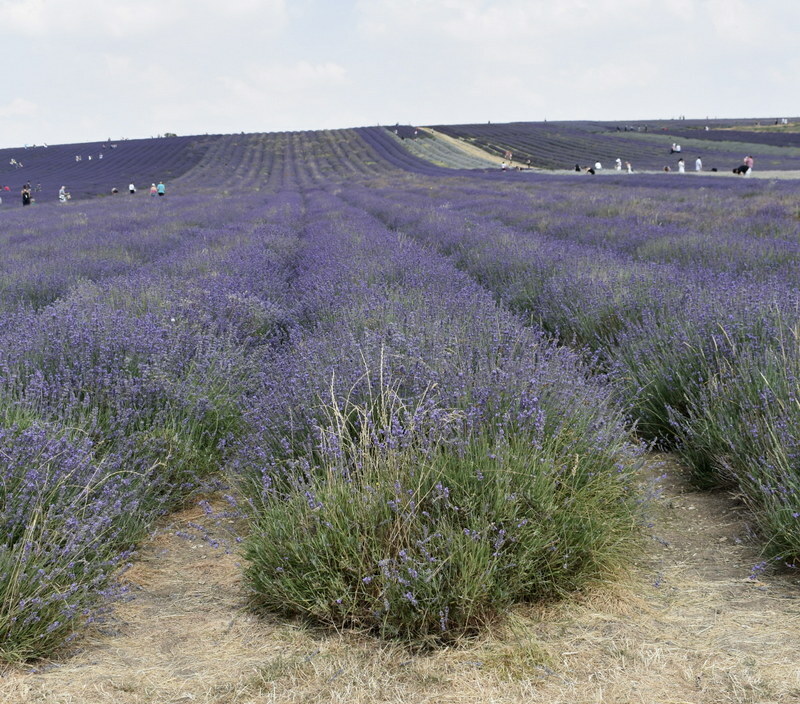 So, when I discovered that the beautiful British lavender fields that were popping up on Instagram were just over an hour away by car from West London, it was time for a day trip. Bonus if you live in North London, it’s practically on your doorstep. 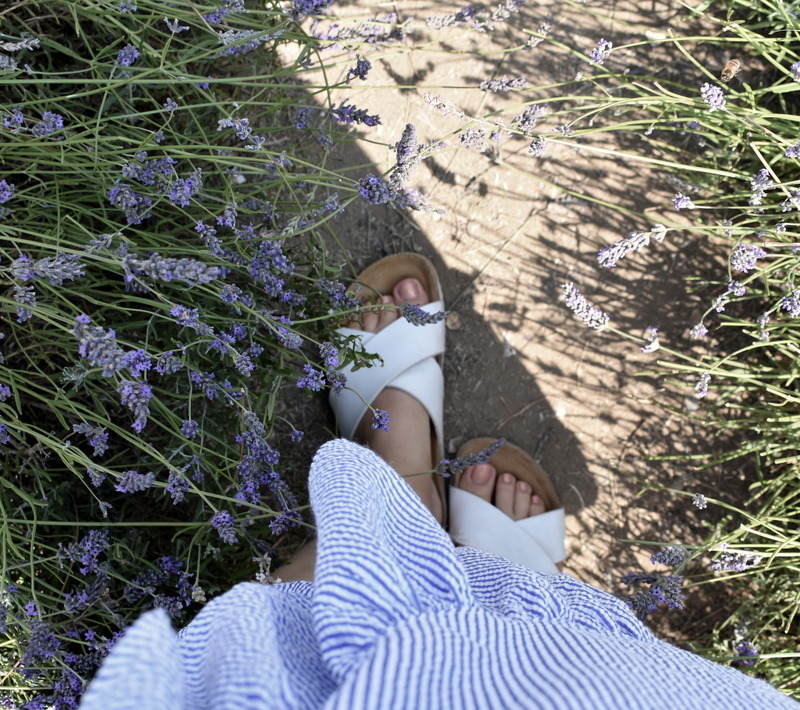 Here’s a look at Hitchin Lavender Farm in Hertfordshire and why it makes a great slow escape from the city. Hitchin Lavender is an assault on the senses. First, you stand in awe of the swathes of purple trailing down the hill as you queue to pay. Then, as you’re given your scissors and bag and eagerly enter the cutting field, the aroma hits you. It’s intensified every time you push past the sprawling bushes. After a while spent taking photos and taking in the view, you quietly make your way up to the top of the field, snipping as you go. After a while you’ll slowly begin to hear a deep hum as thousands of friendly bees dance around the bushes. It’s a nature haven. Although Hitchin Lavender was busy, the experience was relaxing, encouraging a little spontaneous mindfulness even. After all, to fill one of their bags to the brim takes quite a lot of snipping. 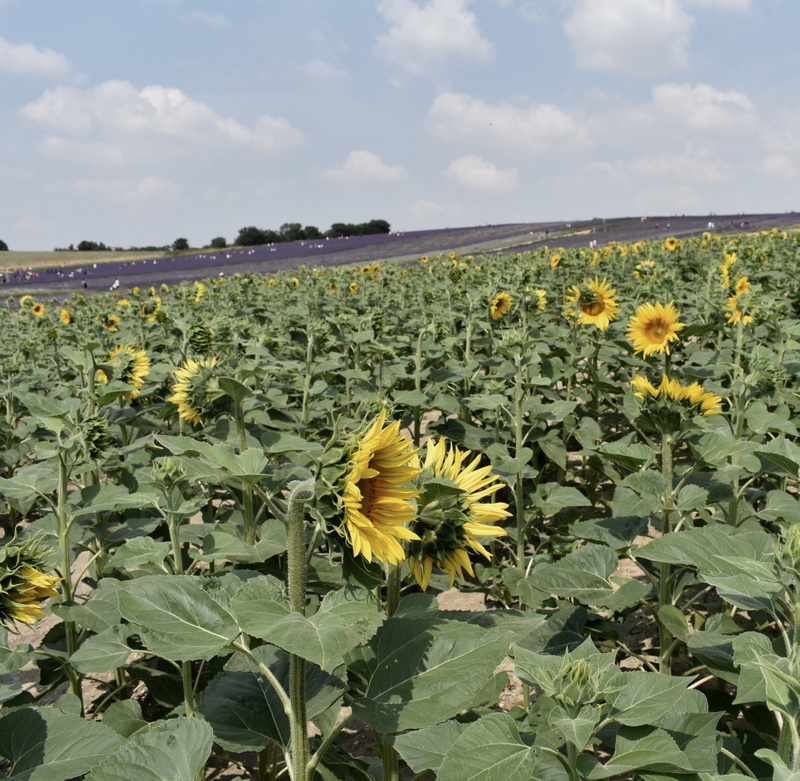 Once the obligatory photos are out of the way, all you’re thinking is: ” how can I fit more lavender in my bag?” and “what can I make with my lavender?” When you’re done picturing yourself in a farmhouse kitchen making lavender biscuits, there are sunflowers to visit. Though, these weren’t ready for cutting when I visited, I imagine they’ll give the lavender a run for its money in late summer. Of course, as well as taking home your carefully picked stems, there is a lavender themed shop with almost-every-variety-of-lavender-ever and many different flower-infused gifts. It’s beautifully presented in a rustic 17th-century barn, alongside the cafe which has indoor and outdoor seating. The lavender raspberry jam is delicious. Prices: £6 per adult, £3 for 5-14 year-olds and free for under 5s. This includes filling a bag full of lavender with their borrowed scissors. When the sunflowers are ready to be cut, they’re priced at 50p a stem. Check their social feeds for sunflower news. Opening Times: 10am to 5pm everyday until the end of August with late openings on Tuesday and Friday. Getting There: There’s ample parking and it’s not far from the A1M. If you’re getting the train, they recommend Kings Cross to Hitchin and then taking an Uber or taxi, though do keep an eye out for any buses or coaches as this is a popular destination. In short, Hitchin Lavender is a perfect rural escape from London. It’s great for all ages, it’s good value and uplifting. If you feel that your £6 bag of lavender isn’t quite enough and your boot is begging to be filled to the brim, extra bags are £4. After all, what could be better than being surrounded by flowers? 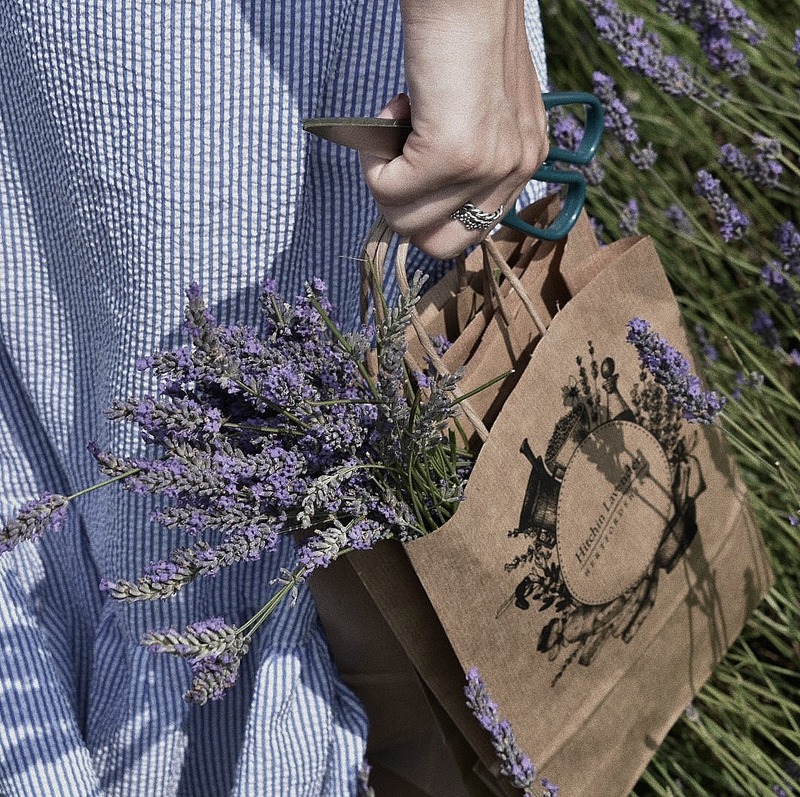 This slow activity really doesn’t finish when you leave the farm; there are so many ways to use your cut lavender and fill your home with relaxing scents. I’ve always considered myself to be a ‘busy’ person and saw this as a good thing. I’ve always felt a need to be productive and felt dissatisfied with my day when I’m not. And, I’ve always thought of people who work long hours as admirable. But since starting Slow Living LDN., I’ve started to realise that answering with ‘busy’ every time someone asks you how you are doing is not an achievement. Does this sound familiar? It’s time to talk about the problem with the glorification of busy. Thrive Global, among others, likens the glorification of busy to wearing a badge of honour. You’re keen to parade it and prove just how stressed you are and how little time you have. According to AXA’s 2017 UK Stress Index, 38% of us are stressed about work. 55% of respondents claimed to check emails outside of office hours and 49% expressed concern over our ‘always-on’ culture. 85% of Londoners are stressed some of the time (just below the 86% high recorded in Cardiff, Belfast and Sheffield) and 10% of capital-dwellers claim to be stressed all of the time. And, 47% say that work is one of the main causes of stress. But, what does this really mean? According to TUC, it means that in 2016 we racked up £33.6 billion in unpaid overtime. For 5.6 million of us, that equated to working an extra 7.7 hours a week – almost a sixth working day. In London, the average per week was 8.2 hours. When you think about it like that, it seems bizarre that we’re boasting about not having enough time for ourselves. Of course, we can’t always clock off at 5.30pm, head to the pub and ignore impending deadlines. But, losing 7-8 hours every week seems like a poor trade-off for the occasional hard-working compliment from someone who is most likely also polishing a gleaming badge of honour. We all know too much stress isn’t a good thing. However, the glorification of busy also exists when we design jam-packed social schedules around already saturated working weeks. Maybe it’s due to FOMO (the fear of missing out), but there’s also a certain perceived pressure to be young, fun and making the most of city life. And, when we’re not working or socialising? Our always-on culture – our dependence on digital devices and their ability to keep us feeling ‘on’ or ‘plugged in’ at all times – means we’re constantly connected to work and hundreds of friends and mere acquaintances through social media. Let’s be honest, it’s a constant information overload. So, what happens when we’re busy at work, busy with friends and our minds are ‘busy’ when they’re supposed to be relaxing? This quote has been at the back of my mind since I came across it in Flow magazine. Stress and tiredness probably take the limelight when you’re thinking about the impact of being overly busy. But, this quote reminds us that there’s another loser; creativity. It’s confirmation from someone who is creative for a living that maintaining creativity isn’t possible if your schedule and mind are always full. Studies have also come to the same conclusion. Cognitive scientist Scott Barry Kaufman contributed to a study for Hansgrohe that found that 72% of recipients experienced creative ideas in the shower. He explained, “The relaxing, solitary, and non-judgmental shower environment may afford creative thinking by allowing the mind to wander freely, and causing people to be more open to their inner stream of consciousness and daydreams.” The shower is one of the few places we’re free from digital distractions, so it’s no surprise we experience eureka moments here. I vouch for going off-grid. After a few days of salty air on a recent staycation, I actively noticed my creativity coming back (albeit slowly). So, in the race to wear a badge of honour, are we actually just designing creative blockers that take longer to overcome as we’re professionally and socially at saturation point? There are many issues with the glorification of busy, but if you agree that ‘daydream’ time always loses out and our creativity suffers as a result, it seems more illogical than ever. After all, you don’t need to be an artist to merit the importance of creativity at work. FOMO, a term that made it into the Oxford English Dictionary in 2013, describes the fear of missing out. It’s a feeling or sense of being left out that’s heightened by today’s “always-on” culture – we’re constantly reminded of what we’re missing out on through social media. Photos and stories flood our feeds to show us just how much of a good time our friends and acquaintances are having. In fact, a study by psychologists at Nottingham Trent University found that FOMO was one of of the key factors driving participants’ social media addiction. But, FOMO isn’t just about the fear of missing out on social activities. One of the psychologists involved in the above study, Dr. Halley Pontes, suggests that the origin of FOMO varies from person to person and “is often a result of a deficit in psychological need, such as social connection”. Another study published in Computers in Human Behaviour suggests that FOMO is associated with lower “life satisfaction”. Perhaps then, FOMO really relates to the fear of missing out on, or lagging behind on, certain life milestones. From envy-inducing travel photos and engagement announcements to new job offers, social media is where we share the highlights of our lives. Arguably, a few years ago social media was synonymous with oversharing, now, only the best posts make it online. While it’s nice to see our friends’ achievements, we can’t help but compare ourselves to all the good stuff they’ve got going on. Should we pack up and go travelling for a few months? Should we be on the property ladder too? Why haven’t we got a promotion? If this all sounds too familiar (and tiring), maybe it’s time to switch FOMO for its slow sister, JOMO. Instead of fearing what you’re missing out on, JOMO is another nifty acronym to describe the joy of missing out. It’s about enjoying time alone, saying no to invites and living in the moment. It’s about ignoring the pressure to keep up. Whatever you call it, it’s really just about living and breathing the phrase “you do you” and tuning out from social media. While there don’t appear to be many studies around JOMO itself, there are many around social media and comparison culture. The study entitled “Seeing Everyone Else’s Highlight Reels: How Facebook Usage is Linked to Depressive Symptoms”, claims to be significant for going someway to explain why Facebook and depressive symptoms can be linked. It suggests that social comparison is one of the reasons why heavy use of Facebook can make us feel down. So, how do we lessen FOMO and embrace JOMO? Here are three simple tips for seeking JOMO – the joy of missing out. Unplugging from social media helps remind you that the glimpses of life we see online are only part of the story. Instead of constantly feeling that there’s always something better going on elsewhere, or trying to prove you’re enjoying yourself with an Instagram story or tweet, you’ll feel more present and connected to the here and now. There’s a lot of pressure to make the most of your time, especially in metropoles like London. There’s a new pop-up or rooftop bar opening nearly every other week – it’s pretty exhausting, right? JOMO is about learning to say ‘no’ to invites when you’d really just prefer a night-in on the sofa. And, more importantly, knowing you’re no less fun for doing so. Set aside a night a week, or at least a few hours, to spend time alone. Solitude is important for unwinding, finding focus and recharging. If social media and your friends’ milestones are leaving you feeling anxious, use your JOMO downtime to work out why and how you can work towards your own goals. So, JOMO is all about being self-aware, reducing time spent on social media and consciously deciding how you want to spend your own time. JOMO challenges you to live your best life and not just an Instagram-worthy version of it. Whether or not we feel like we need another acronym in our lives, the above research highlights that more frequent breaks from the online world could do us good. 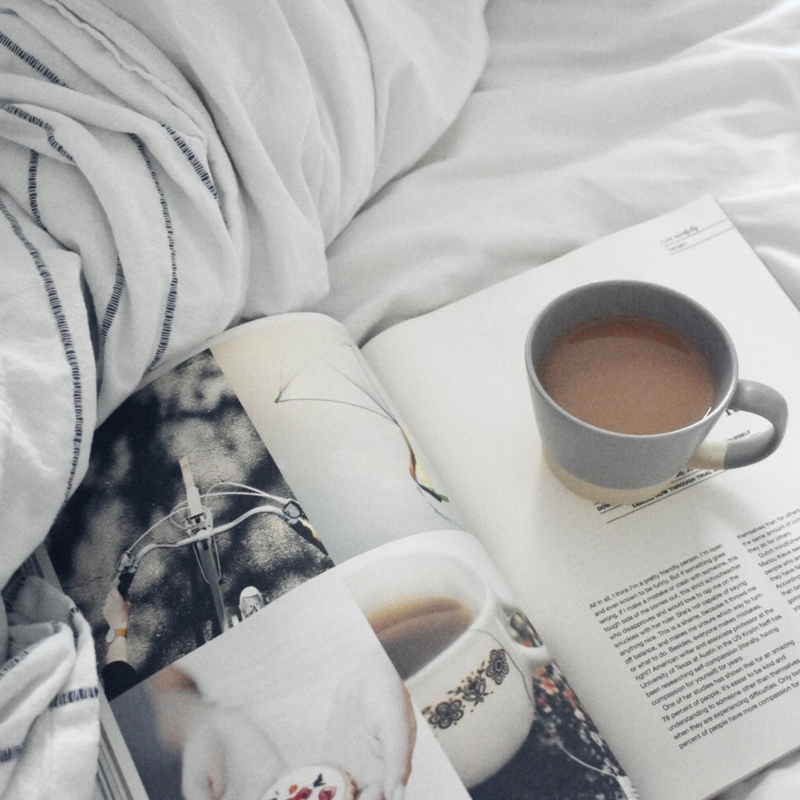 Over the past couple of years, we’ve been obsessed with the Danish word hygge. It’s untranslatable, but refers to being present and acknowledging certain moments as particularly charming or ‘cosy’. To brighten long, dark winters, Danes incorporate hyggelig moments into their everyday lives, without them feeling forced. 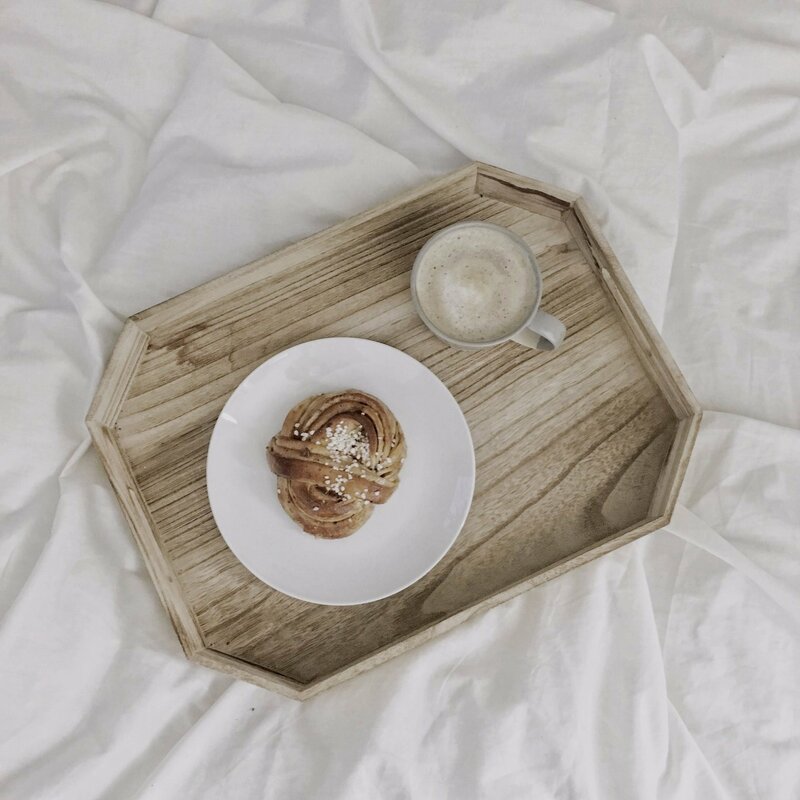 Reflecting on the often romanticised way that hygge has been painted for non-Danes, it seems like a concept suited to encouraging slow living in our personal and domestic lives, but not in our professional ones. As work is such a big part of our week, what else contributes to the Nordic countries continuing to top the global contentment charts? For Swedes, it’s possible that another untranslatable word, fika, has something to do with it. Fika is the Swedish word for a coffee break – it’s both a noun and a verb. But it’s more than just having a cup of coffee, it’s making time to slow down, pause, and enjoy a sweet treat. This will often be the much-loved Kanelbullar – Swedish cinnamon buns – found in practically every bakery and cafe in Sweden. Rather than queuing for a (probably non-recyclable) coffee cup with your name scrawled across it, sprinting back to work and forgetting all about your purchase minutes after, fika is a moment to look forward to. It’s about contemplating on your own or enjoying conversation with friends or colleagues. Even big brands in Sweden incorporate fika into the working day, often twice. And it makes sense – a proper break to refresh the mind and strengthen social relationships can only create a happier, more efficient team. Though, granted, it does sound quite idyllic. Phrases like “I don’t have time” or “what would my boss think?” are probably springing to mind. Yet if the whole office is stepping away from their screens for a while, surely these breaks become as normal as stopping for lunch. In fact, in a BBC article, Matts Johansson, founder of a coffee chain in Gothenburg, mentioned that fika “…is like going to the pub in other countries”. In other words, it’s very normal because pretty much everyone does it. Can We Fika in London? Londoners don’t sit still for long. If you want to encourage your boss to embrace fika breaks or need to convince yourself that it’s a good idea if you’re working at home, reflect on this next piece of research. Margareta Troein Töllborn, a professor from Lund University, found that short, consistent breaks from work actually reduced the risk of employees experiencing burnout from stress. So, rather than seeing fika as losing 15 minutes of the working day, we should see fika as an investment. An investment in wellbeing, team morale and time to think creatively. Well, there are no rules, really. You can even swap the coffee for tea. You can fika whenever you like, wherever you like – just not at your desk, while scrolling through emails. That’s cheating. And, if you’re having a break with colleagues, avoid talking about work – switch topics for a while, and you’ll return to a problem or task feeling refreshed. Ready to ditch our grab and go culture and add a hint of Swedish slow living to your day? Even if you don’t like coffee, you might be able to get on-board with the promise of tea, cake and the chance to press pause during the day.